Every space needs a touch greenery, something to make it feel fresh and alive. 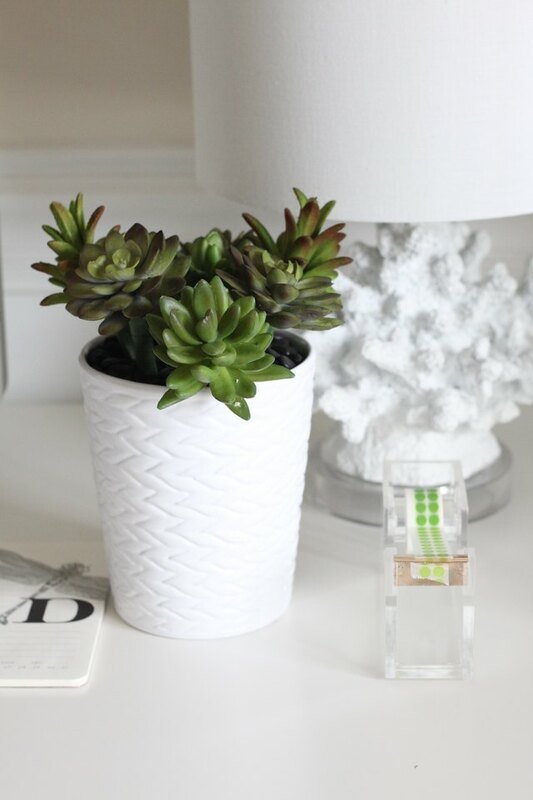 If you aren't good with plants, this project is perfect for you -- it's a faux succulent arrangement that looks real and serves a dual purpose. 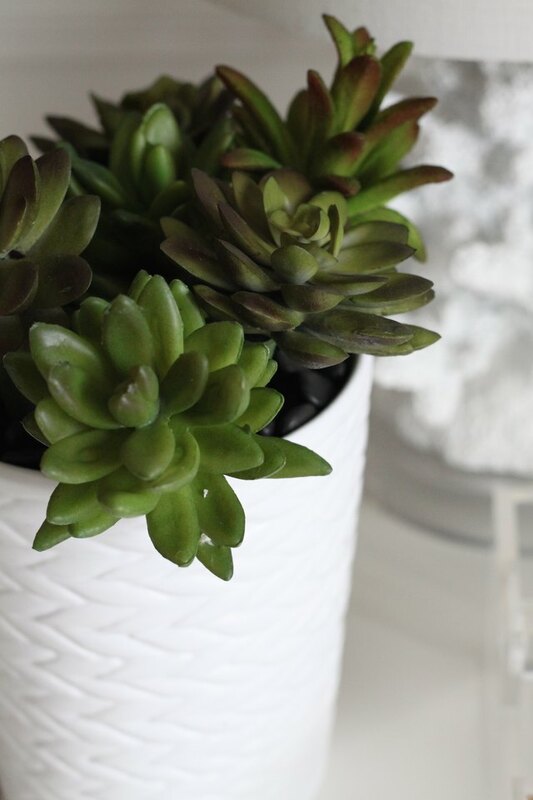 Start by stripping the base of the succulents down to the wire. 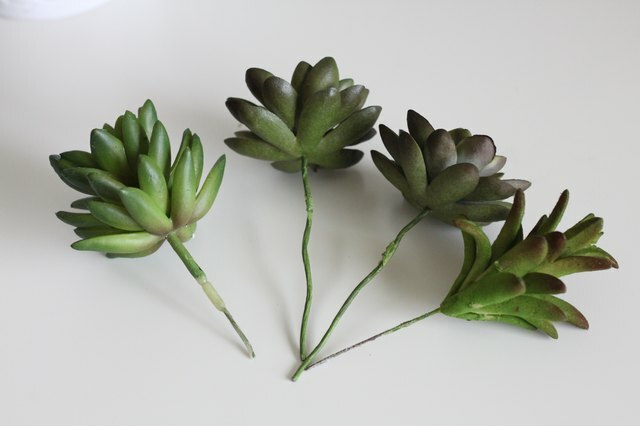 Depending on the succulents you choose, you may need to use some scissors to get the outer layer of plastic off. 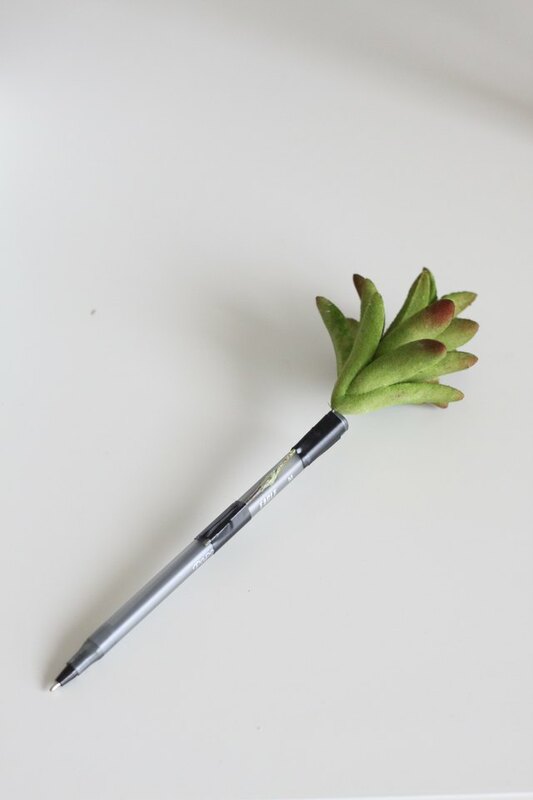 Next, you'll need to attach the succulents to the pens. A few strips of electrical tape should do the trick. To keep the realistic vibe going, you'll need to wrap the pen in floral tape. Start at the top and wrap it around a few times. Then, gradually work your way down the pen, slightly overlapping the tape as you go. 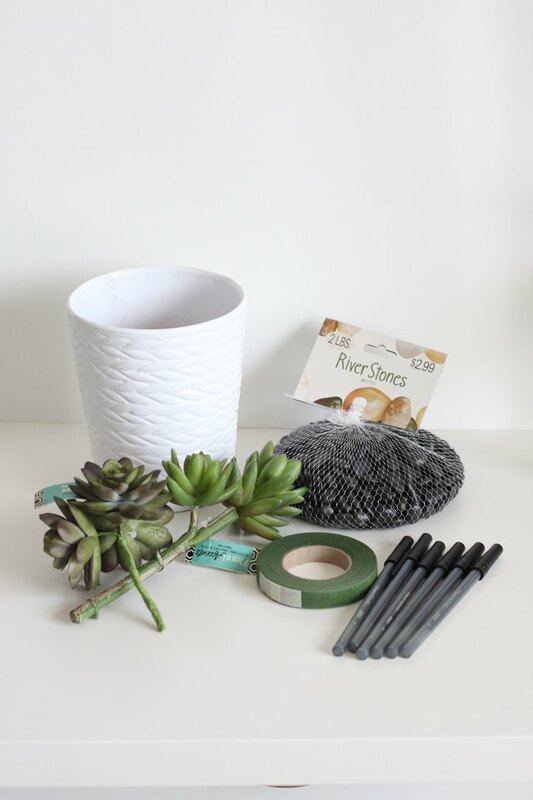 When you've finished wrapping all your pens, fill your vase or pot with river rocks, leaving a little room at the top. 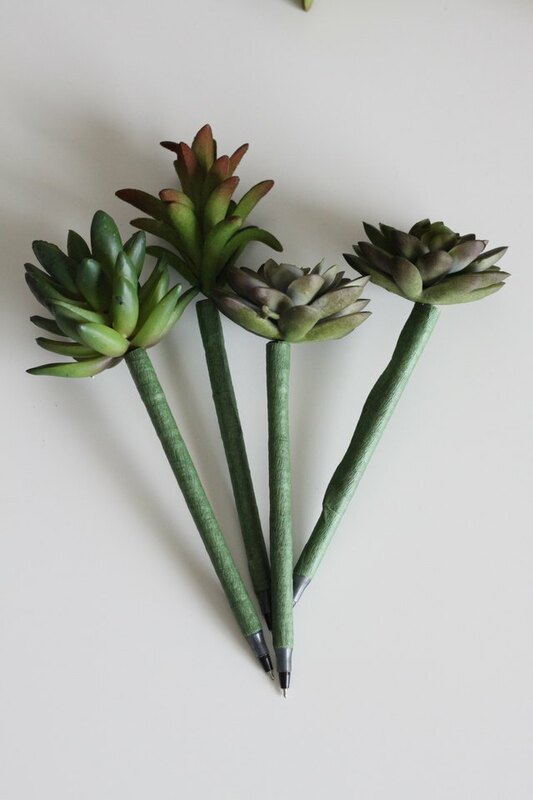 Insert your pens to complete your faux succulent pen planter. 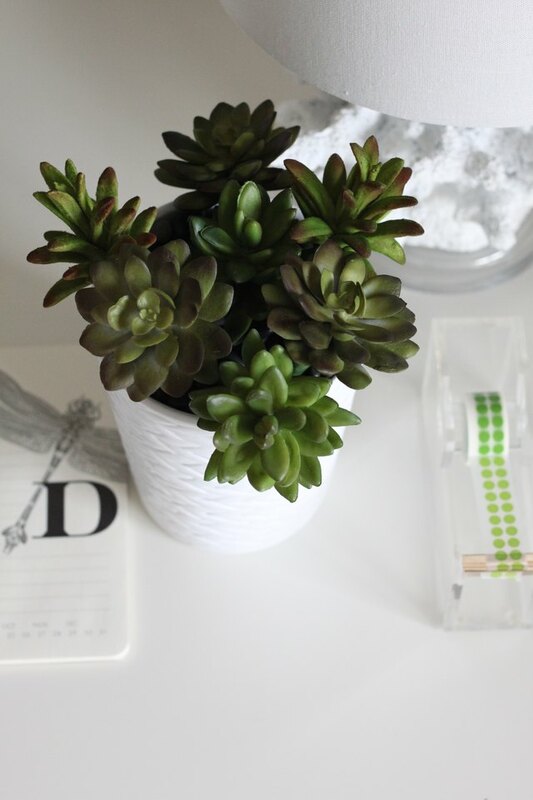 This little arrangement makes a great gift, especially for the person who has everything. In fact, pretty much anyone would love receiving a fun gift like this!